In case you missed it, I threw down the gauntlet to my fellow WesternDev members in September, stating that I will donate $100 CAD to Code.org® if any of them are able to participate in Computer Science Education Week. First, I had to step up and walk the walk, and I succeeded better than I had expected. 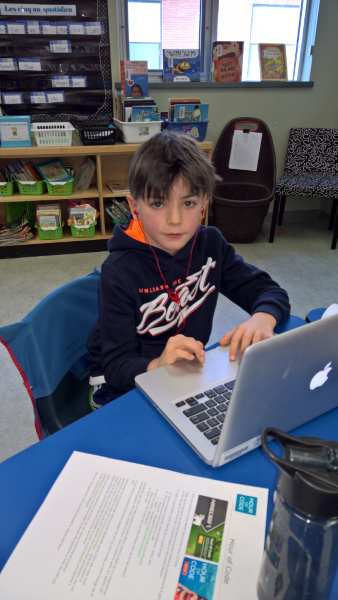 This year it was very easy to organize an hour of code session at my youngest son's school. We had tried 2 years ago and the school board was leary so we didn't get a chance to do it. 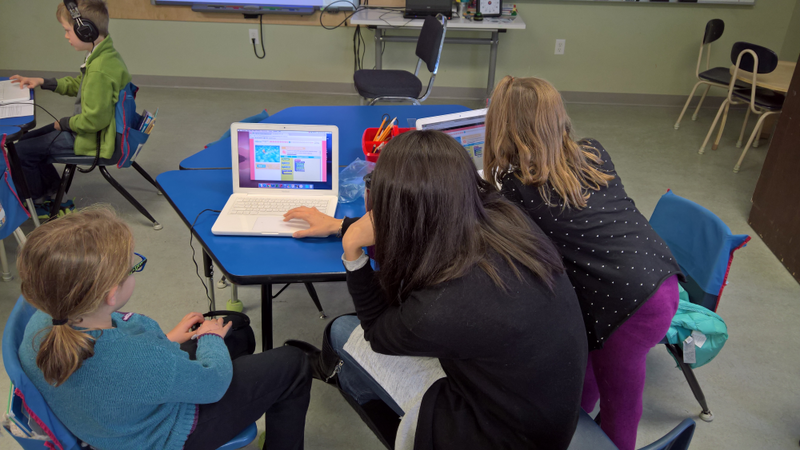 Last year, the school board was aware of Hour of Code and already actively encouraging teachers to try and participate so we did 2 classes last year. 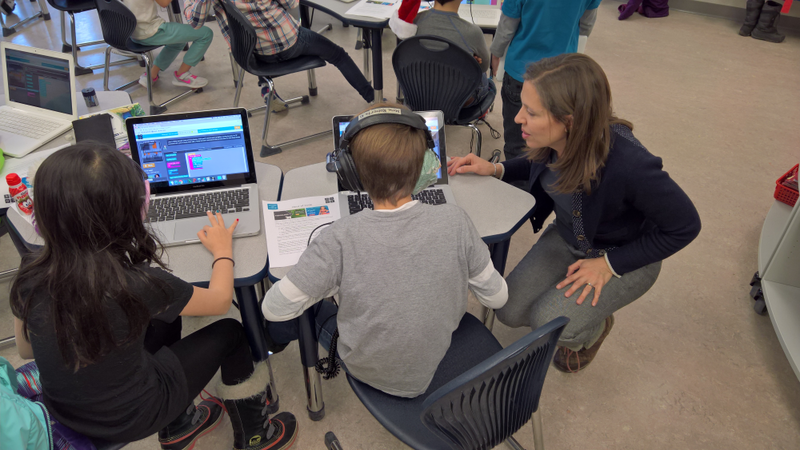 This year we were able to organize 4 classes of Hour Of Code sessions for the all of the Grade 3 kids in the school. I did 2 back-to-back on a Tuesday morning, and another 2 on the Thursday morning. This ended up being a really great schedule and made running the sessions very easy because all of the Grade 3 students are in a school building together and the classrooms are side-by-side. 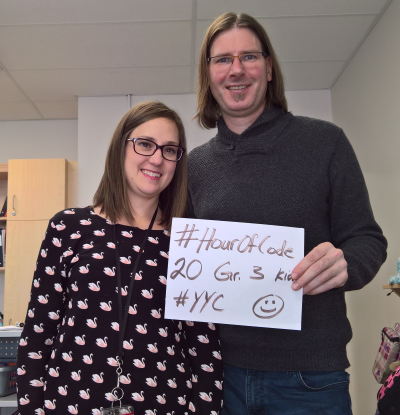 When I issued the challenge to my fellow WesternDev members, I recognized it is actually a very hard task to organize and execute an #HourOfCode event. 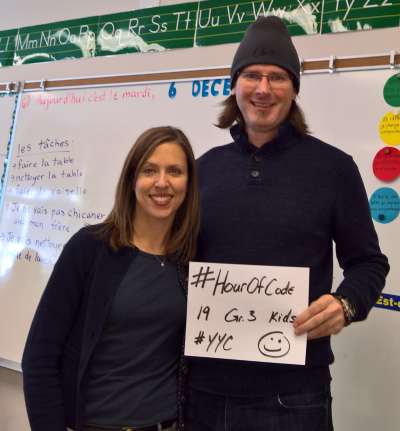 The technical aspects of #HourOfCode is very easy, but the logistics of coordinating with schools/organizations to get classroom time and computers is very difficult. That said, one of my fellow WesternDev members, James Chambers was able to get TWO (2) session organized! They will be run during the week of Dec. 19. 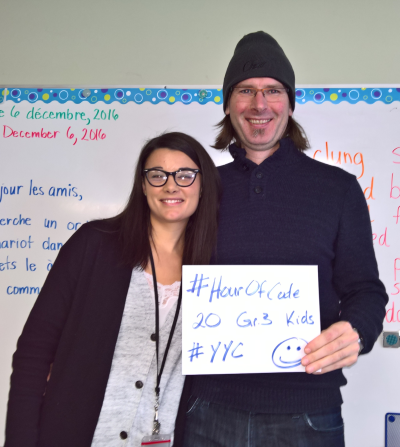 I know this isn't technically during Computer Science Education Week but I'm going to let that slide and donate $100 CAD to Code.org® for James Chambers meeting the challenge. James has promised me that a blog post (with PICS!) will be following in the coming weeks! I'll update this post when that happens! I'm also going to donate $100 CAD to Code.org® for myself as I think that besides my time, this is a very important cause and they need our financial support as well as our support in time and effort. Thank you all for reading. 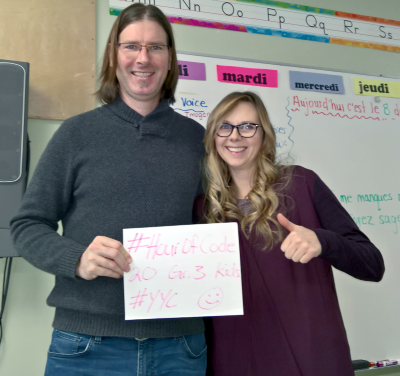 I hope I've encouraged you all to run an #HourOfCode session in your local community in the near future! !